Don't put any salt near this dish, you should not need it at all. The clams will need to be rinsed well in water to get rid of any excess sand and wash the mussels well also. 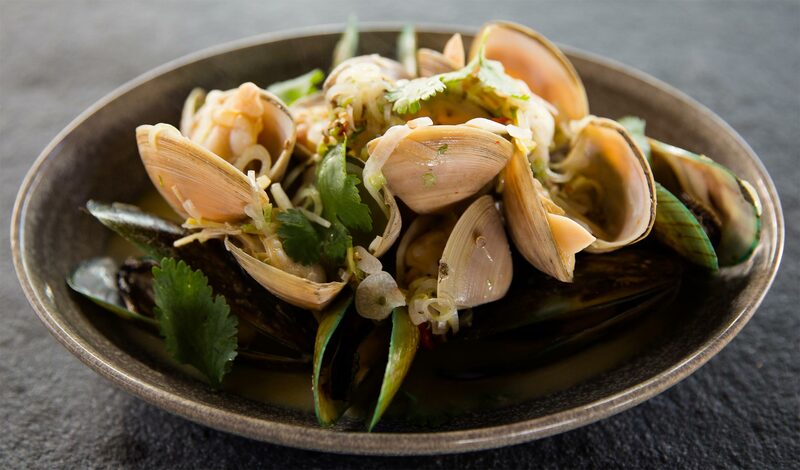 The saltiness will come through from the shellfish and also the fish sauce. Place the olive oil, shallot, garlic, coriander seeds, lemongrass and chilli into a hot pan. Fry until fragrant. add mussels and clams cover and cook for 2 minutes. Add in the fish sauce, then the coconut milk. Finish with the lime juice and zest.